Good morning gals! I hope you had a GREAT weekend! You know I love Mondays haha! 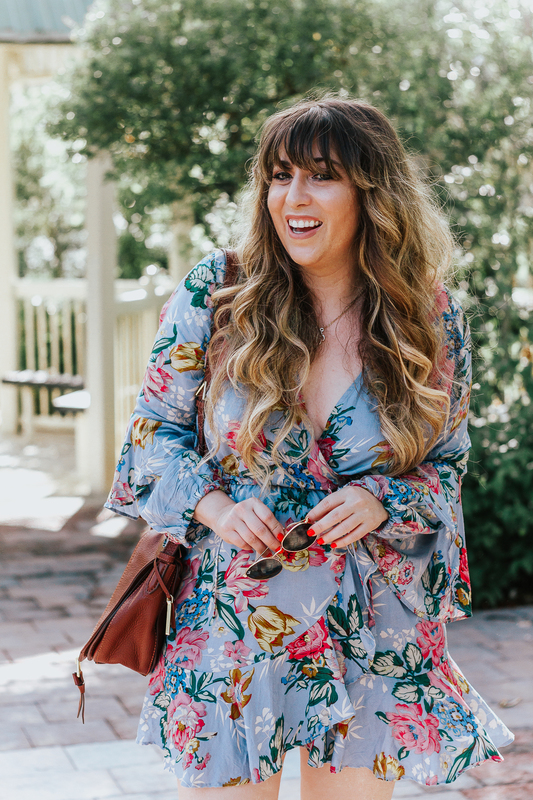 Last week I posted a little selfie of this look and so many of you let me know how much you love it, I am psyched to share it on the blog today. I am a huge fan of the unexpected combination. 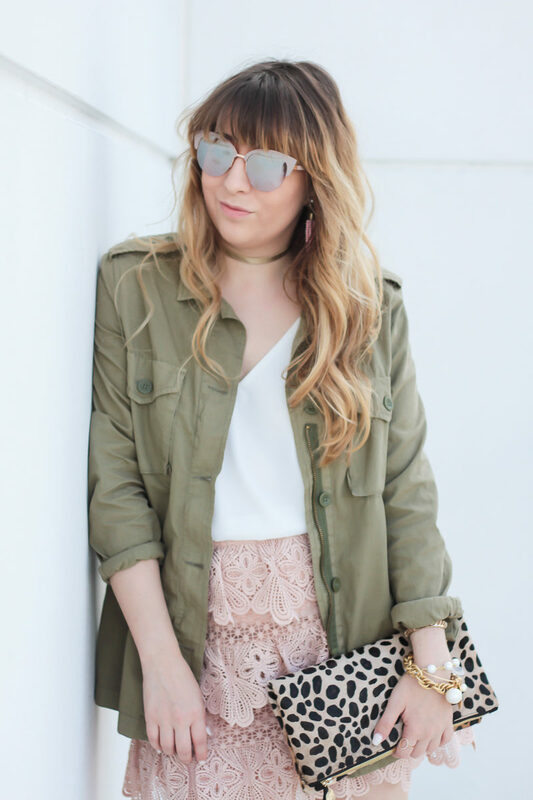 A little lace skirt and a utility jacket just feels so modern and chic to me. This utility shirt is an oldie, but they brought it back this year and I was PSYCHED because I wear it so much. I mentioned this on Instagram, but I love it because it’s super lightweight so I can layer with it even when it’s warmer, as it tends to be here in the good ole MIA. I originally had intended to shoot this with a jean jacket, but then I unearthed this baby from my hamper of all places and was like NO… UTILITY JACKET! The lace on this skirt is such beautiful quality. I love it! I’d also love this skirt paired with a gray v-neck tee or a chunky sweater for a little bit of a different vibe. I’m, like, crazy about this color combination. I feel like I’m constantly saying something is my favorite outfit. 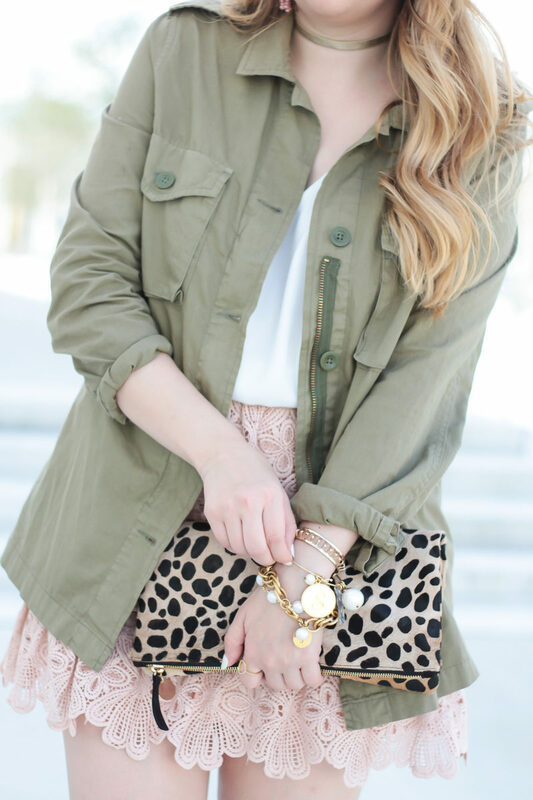 NEW FAVORITE OUTFIT RIGHT HERE! LOL! By the way– have you guys checked out the Sugarfix by Baublebar collection at Target?! I am beyoooond obsessed. I was basically shouting it from the rooftops (ie: Twitter and Facebook) when it was announced, but in case you don’t follow me on those platforms (um which you should?!) a little background. 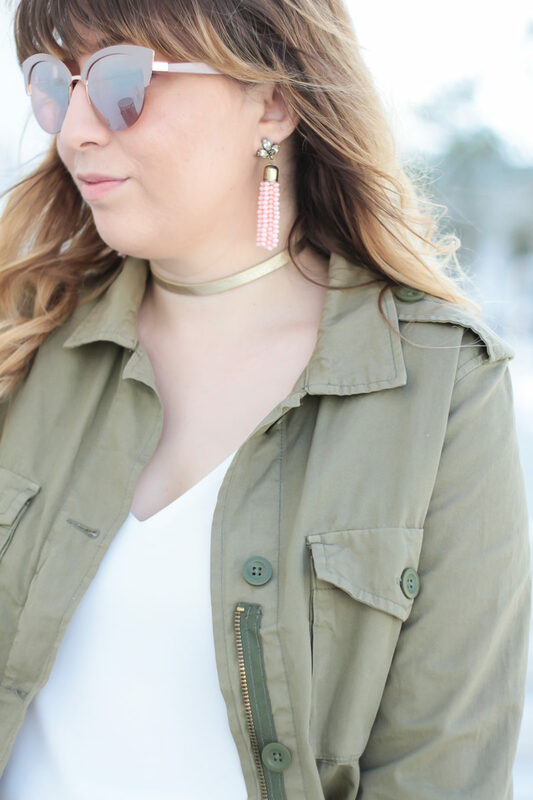 Baublebar launched a Target collection! It’s exclusively available at Target and Target.com and is priced between $9.99-$29.99. SUPER AFFORDABLE. There are currently 180 styles (of which I want approximately ALL 180) and they’ll be launching new styles monthly. These gorgeous tassel earrings are from the first collection and they’re only $12.99!! INSANE. Because, you know, I NEED more reasons to spend $$$ at Target. Whatever, it’s groceries. You can totally justify an extra $12.99 on your next trip haha. Thanks so much for stopping by loves! Hope you had an amazing weekend and are raring to go for a new week! Love you!